The Easy Shop newsletter template can be used with any email/newsletter software to showcase an online shop of any sort. It has a beautiful call to action section/banner at the top, then a section for products and more sections for promotions, content or articles as needed. It includes a standard HTML newsletter template which can be used universally with any email/newsletter software and then a dedicated newsletter template to be used with our WordPress Newsletter plugin which includes all the necessary shortcodes, tracking, content areas, etc. to make it as easy as possible for you to start sending newsletters. The newsletter template is distributed with relative image paths. So the images are src="images/logo.jpg" for example and you want them to be remote, absolute URLs like src="http://domain.com/easy-shop/images/logo.jpg" so that all readers/subscribers can pull the images into their email clients. Eg, in this case, the prepend URL will be http://domain.com/easy-shop/ that will be added before images/logo.jpg for example. Now take the URL of where you uploaded the images previously and put that into the “Image Prepend URL” setting/field. Should I Apply Inline Styles? We recommend that you do not apply the inline styles at the time of saving the newsletter template but that you rather turn on the “Auto Inline Styles” setting under Newsletters > Configuration > Sending Settings in the plugin itself. That way the raw newsletter template can be used and inline styles can be applied at the time of sending to both the template and the content inside it for more accurate rendering. 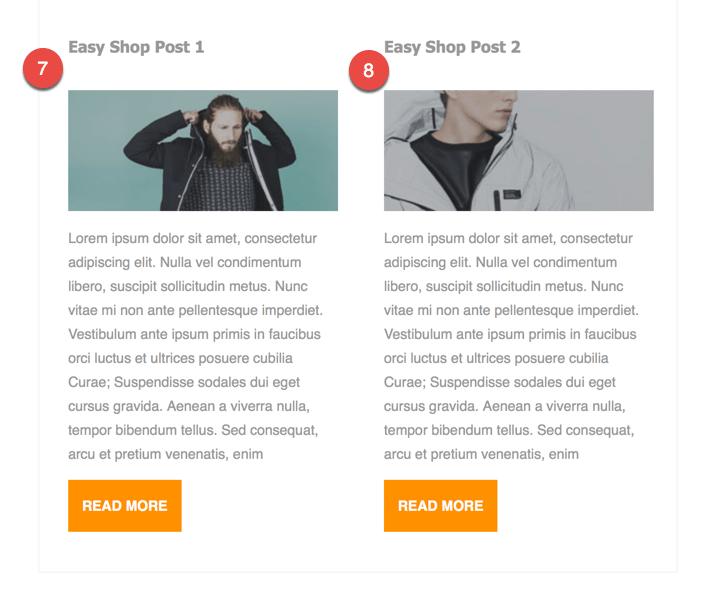 The Easy Shop newsletter template comes with several elements/sections that you can use. The logo image can be changed by editing the template under Newsletters > Templates by selecting the image, clicking the image icon/button in the WYSIWYG editor and then specifying a new logo image URL of your own logo as needed. The link on the logo automatically goes to your WordPress site’s home page with the use of the [wpmlsiteurl] shortcode. The view online text and link can be changed or text can be added to this block by editing the newsletter template under Newsletters > Templates in the plugin. The “Click Here” link’s URL is automatically generated by the [newsletters_online_url] shortcode. 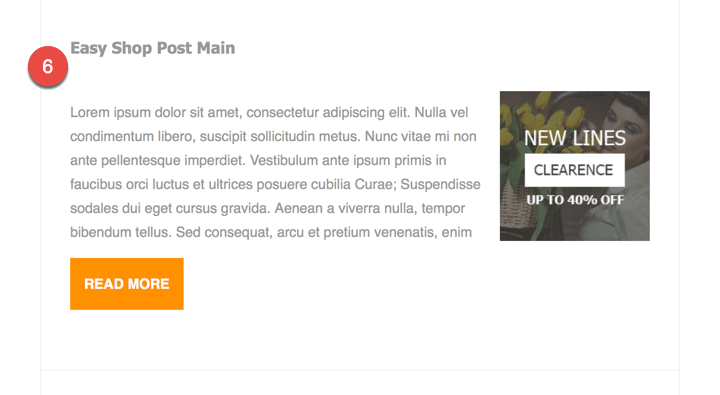 The menu/navigation can be edited by editing the template under Newsletters > Templates. You can change the text of the existing links, remove some or additional menu items as needed. They don’t link to anything by default so you can insert URLs to link to as needed. The banner/call to action image can be changed out with any image by editing the template under Newsletters > Templates by using the WYSIWYG editor. Simply select the image and click the image icon/button in the editor to replace it with your own image. It links to your home page by default using [wpmlsiteurl] shortcode. The products are fixed/static and can easily be edited by editing the newsletter template under Newsletters > Templates in the plugin. 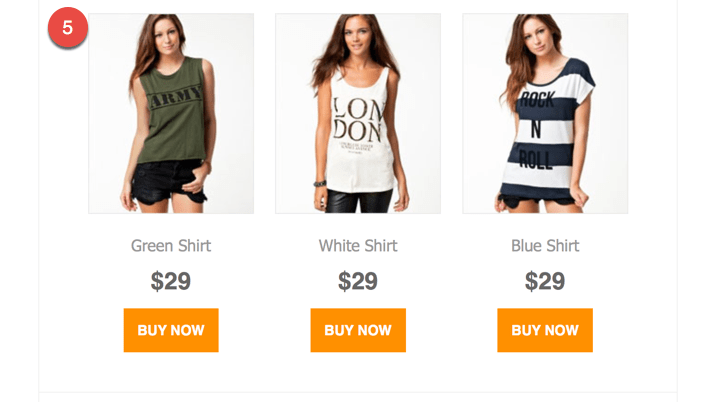 To edit the products, select the images and insert your own, change the text of the prices to insert your own prices and insert your own URLs on the “Buy Now” buttons to link to your products accordingly. To add more products, such as another row of 3 products, simply copy and paste the first set of products over to create a second row, resulting in 6 products total. The first content block can contain any text or HTML as needed. By default, it contains [newsletters_content id="1"] which will automatically insert the content of the first content area that you add to a newsletter. That generates the same output as you see in the image above for #6. The second and third content blocks work in a similar fashion as the first one. They can be used for any text/HTML but by default, they contain [newsletters_content id="2"] and [newsletters_content id="3"] which will result in showing the content of content areas 2 and 3 that you add to a newsletter. The footer text consists of several parts. The email address uses [newsletters_bloginfo show="admin_email"] to output the WordPress administrator email. The telephone number is static and can be edited manually with your own business phone number. The copyright is static but the year date is generated by [wpmldate format="%Y"] automatically. The unsubscribe link is automatically generated by [wpmlunsubscribeurl]. The social media icons are static images with no URLs linking on them. You can add more icons or change the images out to your own social media icons as needed. You can also remove some of them if you only use certain of the illustrated social networks. Then put the URLs of your social network pages on the images to link them accordingly.